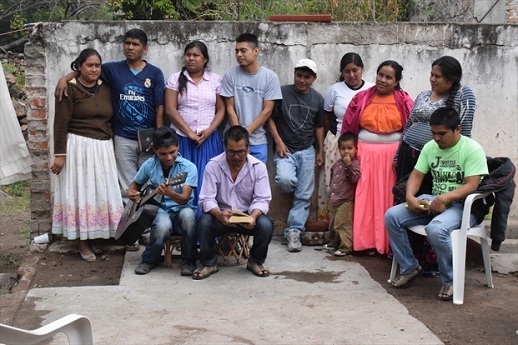 Twelve of the 30 evangelical Christians evicted from the village of Tuxpan de Bolaños in Jalisco in January. Mexico has a “policy of denial” about the thousands of evangelical Christians forced out of their homes because of their beliefs, according to a Mexican human rights activist. Pedro Faro Navarro, director of the Fray Bartolomé de Las Casas Human Rights Centre, accused the government of “making up the figures” of people forcibly displaced because they have left the ‘traditionalist’ Church, which blends aspects of indigenous paganism and popular Catholicism. He said that the scale of the problem is hard to gauge. “Unfortunately, there are no records that we can use to officially count the number of cases because the Mexican state has never recognised the problem of forced internal displacement,” he said. According to the Mexican Commission for the Defence and Promotion of Human Rights, a non-governmental organisation, more than 287,000 cases of forced internal displacement took place in the last five years. But the UN-accredited National Human Rights Commission puts the figure at around 35,000. Faro disputes both figures. “There are some who speak of more than a million people,” he said. “For the time being, what we know for definite is that the lowest number is always the official one.” Many families have to leave their homes and nobody comes to count them, he added. 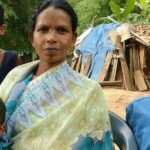 In 2015, World Watch Monitor reported that 12 evangelical Christian families were allowed to return home five years after they were forced out by village elders. But many other families remain isolated, without access to schools or medical facilities. 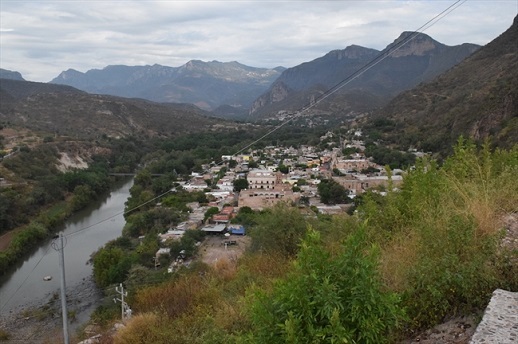 Thirty people from the Tuxpan de Bolaños community in western Mexico were forced out of their homes in January 2016 because, they say, they were attracting other villagers to evangelical Christianity, posing a threat to their ancestral traditions. They were forced out in the middle of the night and were given temporary shelter in warehouses in the town of Bolaños, 30 miles away and a three-hour drive through the mountains. Eleven months on, the families remain in Bolaños, having been moved three times. They live under threat of moving again because their landlord is about to sell the warehouses. The families live, sleep, cook and eat in two rooms. The pressures faced by evangelical Christians are most common in indigenous communities, because of the perception that they are disrupting cultural life. The two parties cannot seem to find a solution, Faro said. “They have searched for a dialogue for many years, but core beliefs end up dominating the matter. It’s very difficult because each case must be examined within its cultural complexity,” he said. Faro added that he expects the displacement problem to escalate, because the state does not take action against the perpetrators. “The states in the north are most problematic, but no part of the country is free of this crisis,” he said. There is no national law regarding forced internal displacement because the state doesn’t want to acknowledge there is a problem, Faro said. “Accepting that it exists means having to confront it,” he added, but he said the Mexican government would not intervene because it was trying to encourage foreign investment in territories “where there are indigenous villages that are practically for sale”. Because he says he feels the Mexican government ignores the problem, Faro has reported the situation to the Inter-American Commission on Human Rights, an institution that promotes human rights across the Americas. Faro said he believes the local government in Chiapas, where the Fray Bartolomé centre is situated, is especially compromised in its duty to maintain law and order because of complicity by some individuals in local crime networks. Evangelical families’ isolation is compounded by the traditional Day of the Dead, and Halloween – the modern day variant imported from the US. 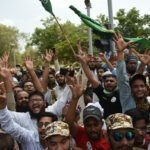 Both are widely celebrated in schools, but evangelical Christian families have said that their children were forced to take part in the celebrations against their will. In June, more than 100 Protestants were asked by the local authority to leave their village for not taking part in local festivals. In 2009, one Protestant family was told they could not bury their child in a local graveyard because they had left the ‘traditionalist’ Church. They were subjected to the illegal confiscation of their properties, physical violence and denial of health services. The village authorities then forbade commercial transactions with them. With little political will to intervene and traditionalists and evangelicals at a stalemate, Faro sees no sign of imminent improvement. Without renewed efforts at dialogue between the two parties, he said evangelicals’ marginalisation will only worsen.